When I first started my kitchen, there weren’t much cooking utensils and almost none for baking. 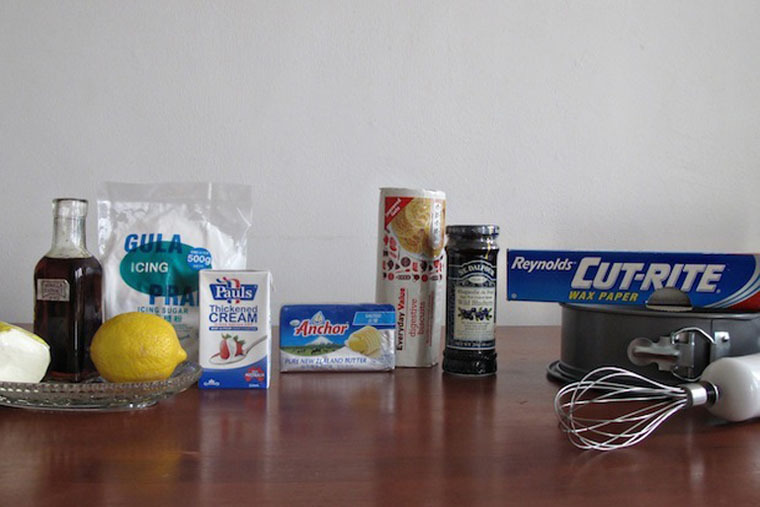 I thought that to bake, I would need fancy equipments such as a stand mixer (which I wasn’t ready to invest yet). So I made jellies, mousse and Chinese sweet soup instead. 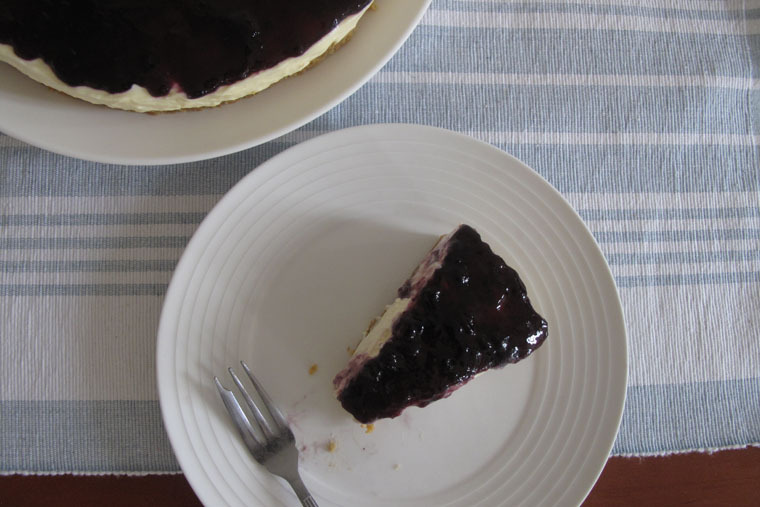 I didn’t think that I could bake a cake (easily) without proper tools until I found this no-bake cheesecake recipe. The whole idea of this cake is that no eggs are involved so you don’t have to bake it. All you need to do is 1) Make a base using biscuits and butter 2) Make and top the base with cheese filling and 3) Spread jam over it. That’s it! Step 1 MAKE BISCUIT BASE: Crush the biscuits into crumbs. Add into softened butter. Press the mixture into a 20cm springform tin and refrigerate. 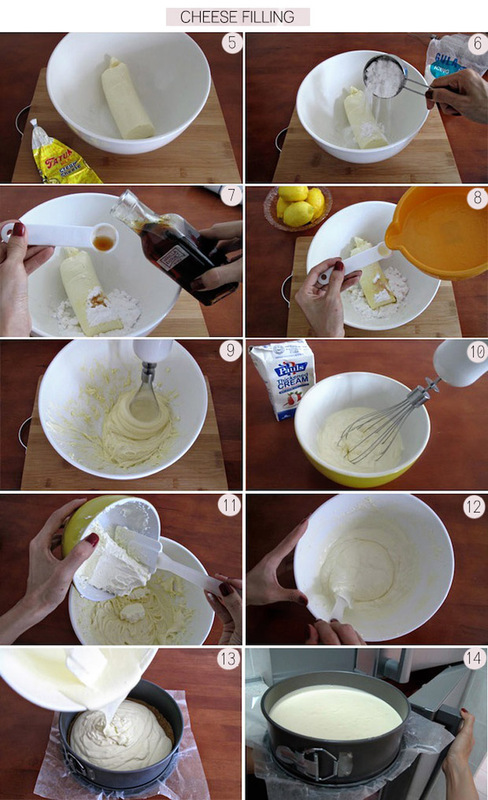 Step 2 MAKE FILLING: Beat together the cream cheese, icing sugar, vanilla extract and lemon juice in a bowl until smooth. Lightly whip the double cream, and then fold it into the cream cheese mixture. Refrigerate overnight. 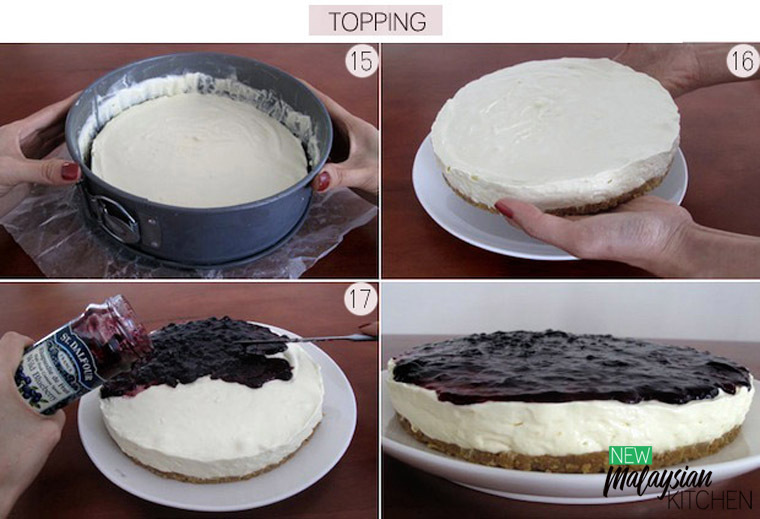 Step 3 SPREAD TOPPING: When you are ready to serve the cheesecake, unmould it and spread the blueberry jam on top. Mix 9 pcs crushed biscuit + 75 g soften butter. 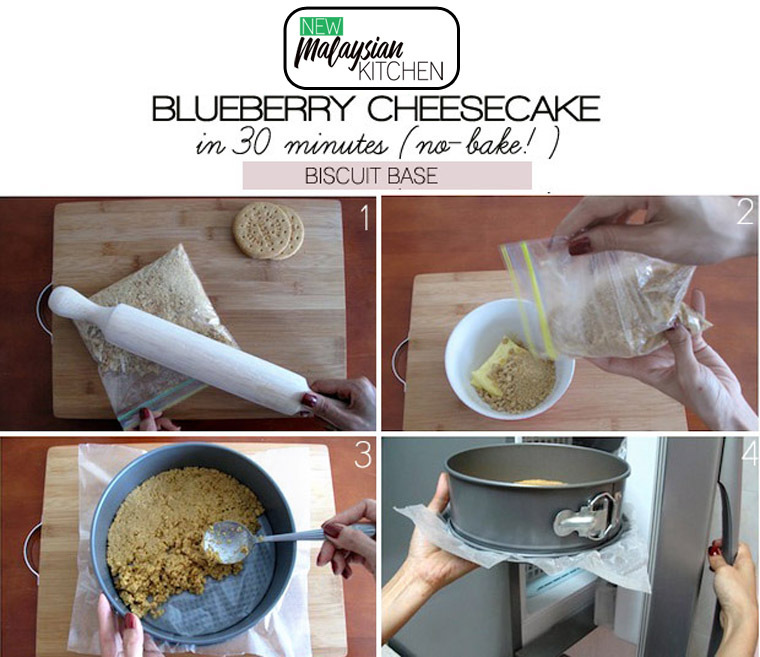 Press biscuit mixture into a 20cm cake pan & refrigerate. 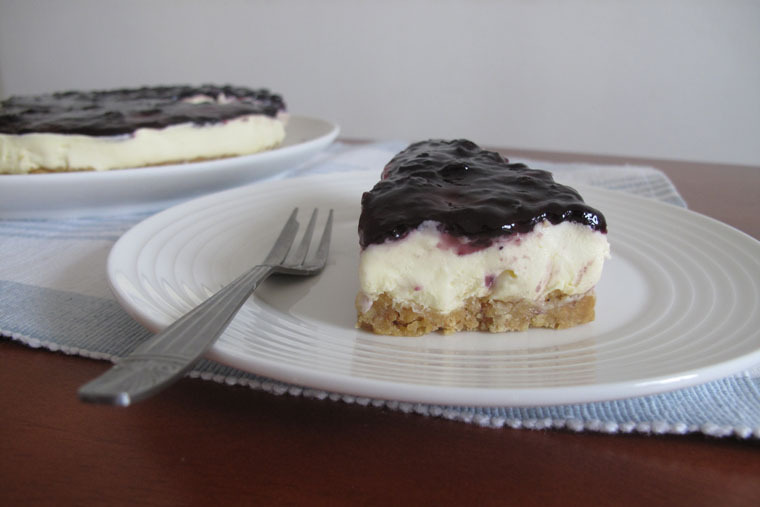 Beat together 300 g cream cheese + 1/2 cup icing sugar + 1 tsp vanilla extract + 1/2 tsp lemon juice in a bowl until smoot..Whip 250 g double cream & fold it into the cream cheese mixture. Refrigerate overnight. 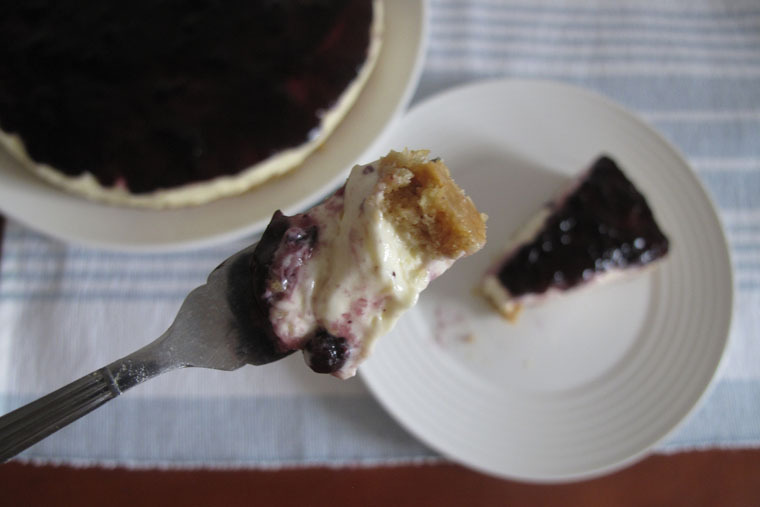 Unmould & spread the blueberry jam on top. Isn’t it a piece of cake?